Yes, we know it’s tempting to splurge this year on Amazon Prime Day (I mean, who wouldn’t want a Squatty Potty for 30% off?) but, be on the lookout for potential scammers capitalizing on the rush of the sale. While you’re filling your shopping cart with pressure cookers and sneakers, scammers are waiting behind the scenes, ready to pounce on your personal information. This year, scammers have taken their tactics to new levels. Apart from the convincing phishing email asking for your credit card information, they’ve found ways to infiltrate Google search results using fake domain names. It’s scary stuff, but we can help you through it. Watch for credit card fraud. 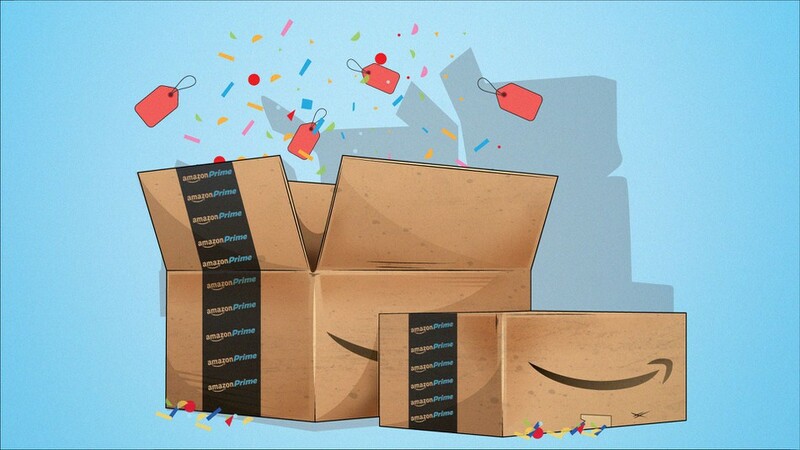 Amazon has the cool feature of storing payment information to make checkout quick and easy, but this also poses a possible risk for Prime Day shoppers. In your rush to toss deals into your cart, pay attention to how much the total comes to. If you get an email concerning the credit card Amazon has on file, make sure the email is coming from Amazon itself (watch out for ‘rn’ replacing the ‘m’) before providing the card information or clicking any link. When in doubt, give Amazon a call and sort out the payment information over the phone with a verified employee. Be careful confirming personal information. This includes your address, email, phone number, and especially your credit card information. Scammers are getting crafty nowadays – they’re firing out realistic-looking emails to Prime Day shoppers asking to confirm a shipment or order and snagging personal information. These emails might look real, but they’re not. Think before you click on any link in an email, especially if you’re not sure about its integrity or the integrity of the sender. If you’re still not sure about a link, hover over it before clicking. If the link goes to a strange domain and not Amazon Account Settings, retreat and delete, my friend. Retreat and delete. Go to the actual Amazon website. In your rush to get the latest deals before they expire, ensure your frenzied Google search provided you with a link to the actual Amazon website. Like we said, scammers get crafty. Domain squatting is a real and dangerous tactic used to lure unsuspecting shoppers into a fake website. Entering a fake site could mean big trouble for your computer. And as always, on this glorious day of cheap online sales, Think B4 You Click!